The appearance of spiral structures on the human tongue (geographic tongue) and skin (pathological rashes) are described. Affected and often migrating areas on the tongue can be bistable, patch-like fronts or waves. Pathological rashes with an expanding region of redness is often a result of an autoimmune disease in which the human immune system becomes hyperactive and attacks healthy tissues. 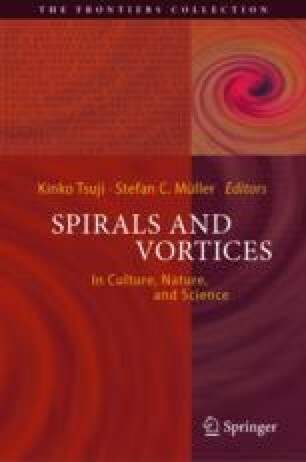 In addition, we show a rotating spiral created by humans, which has been described as a reaction-diffusion waves in an excitable medium.